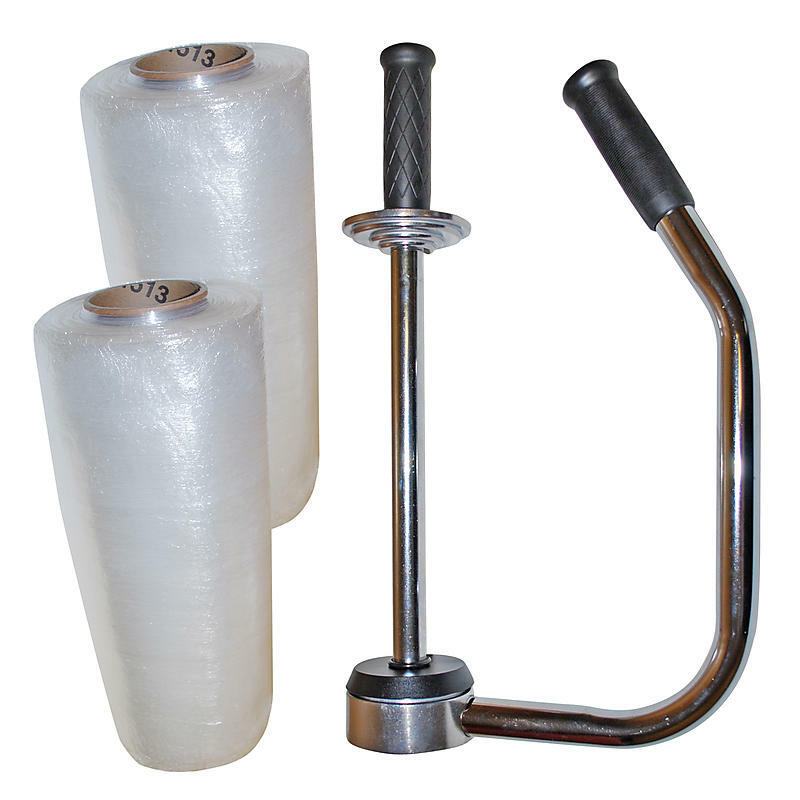 Stretch wrap dispenser handles are used for commercial packaging and shipping. This handle adjusts to fit rolls 12” to 20”. The dispenser handles provide comfortable, easy rolling for covering a variety of pallets and merchandise. Great for wrapping skids of boxes. The quality blown stretch wrap (also called stretch film) is puncture and tear resistance, has superior stretch-ability and excellent cling. Stretch wrap helps hold shipments together while protecting from dirt and moisture. Puncture and tear resistant, even on irregular loads and sharp corners. Performs well in all temperatures.